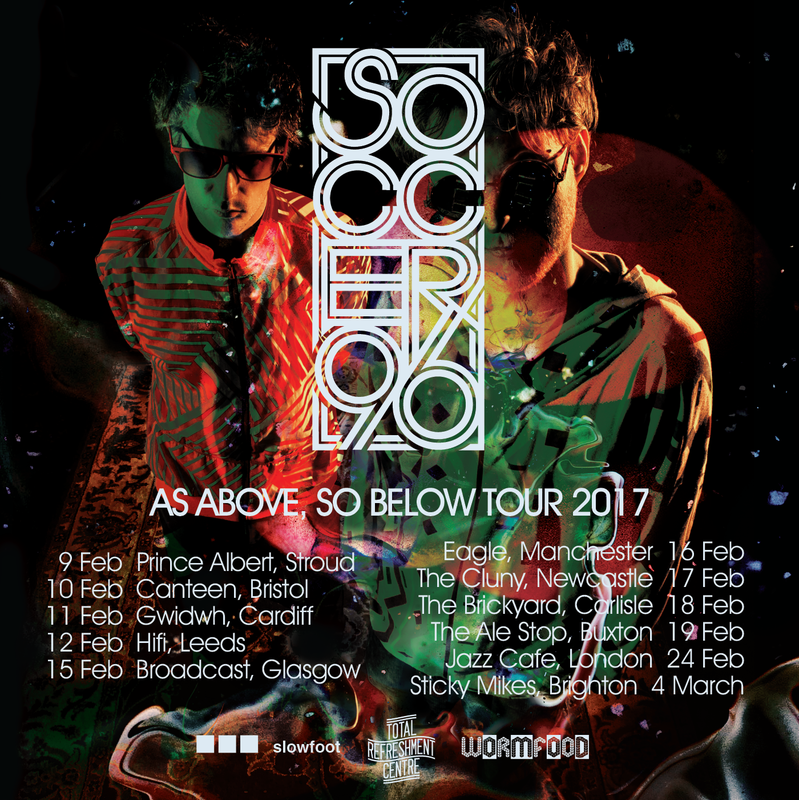 We are HYPED to be heading out on the road in February 2017 to tour the UK, bringing with us our new live show based around our latest LP: As Above So Below. We bring with us Betamax’s preternatural ability to create waves of human rhythms marking the movement of time with NOW NOW NOW NOW NOW and builiding up moments of ecstatic poly-rhythm that moves the body from the inside out, combined with Danalogue’s armoury of analogue synths, pulsing out DNA altering frequencies as they form an invisible bath of sound to massage your consciousness. It’s going to be LARGE. ‘As Above So Below’ as a phrase is an old, non-monotheistic hermetic phrase that expresses the similarity between all things at a macrocosmic and microcosmic level, and that it is impossible to study the universe without studying man, and conversely that it is impossible to study man without studying the universe. Sometimes the limitation of the human senses born out of evolutionary survival creates a level of direct focus on ourselves, like isolated individuals, visitors in an alien world, when we are infact a product of our planet’s place in the solar system, and ecosystem, and are going through the same life cycle of all the universe on every level, from microscopic cells, to flowers, all the way to the creation and supernova of stars.